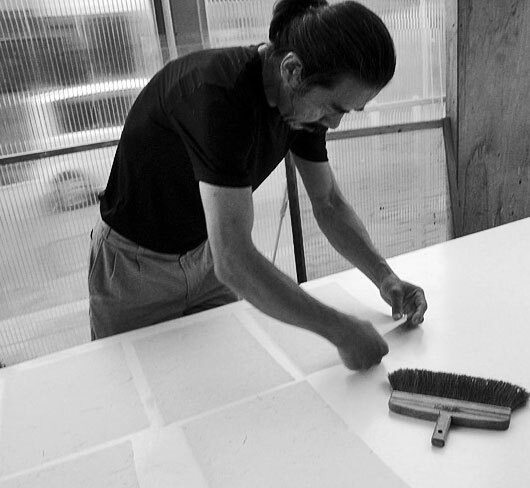 Recycling: washi tales is a performance based project that explores the aesthetic and spiritual values of recycling paper. 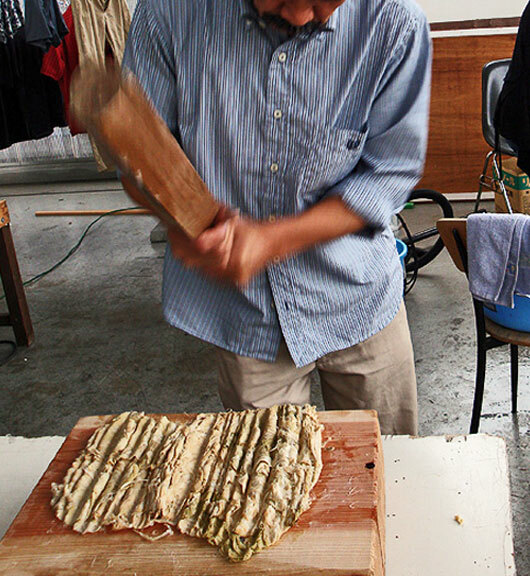 I came across this site via the always inspiring Awagami Factory, and it really blew me away. I have always wanted to see how washi paper is made and now I have, thanks to the team behind this production. 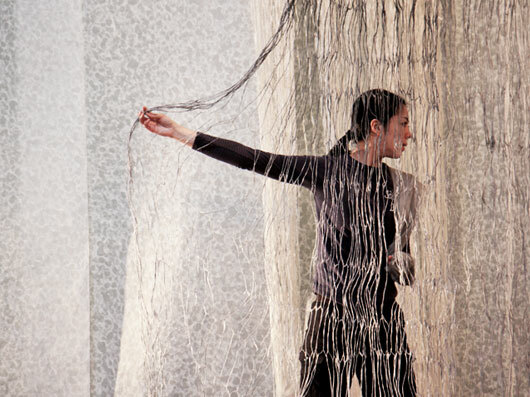 Four tales of paper making from different periods of Japanese history unfold on stage, alongside a magical set created by renowned paper artist, Kyoko Ibe. To find out more about the performances, click here. 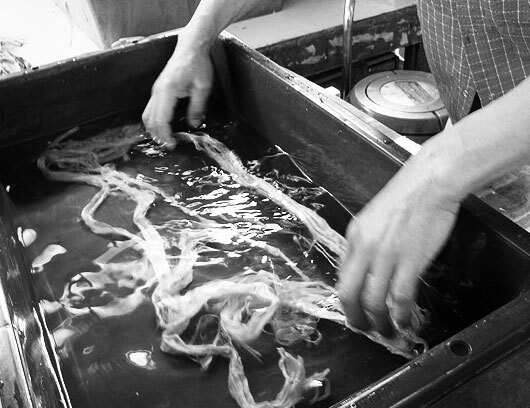 Ever wondered how washi paper is made? Well, wonder no more. 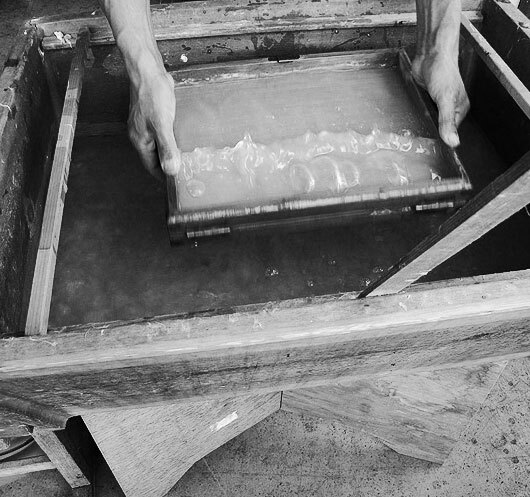 On the Washi Tales website is a section on papermaking and it provides a fascinating look into the world of washi paper making. 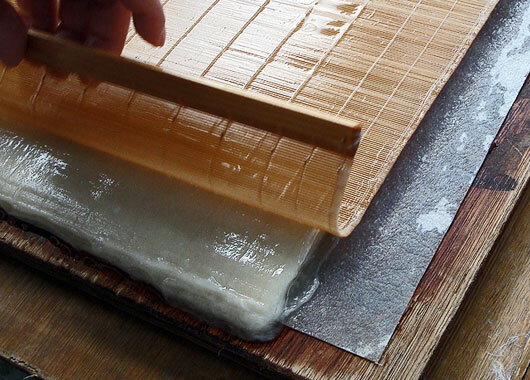 The images below will take you through the 7 steps to making washi paper by hand and it’s truly amazing stuff! 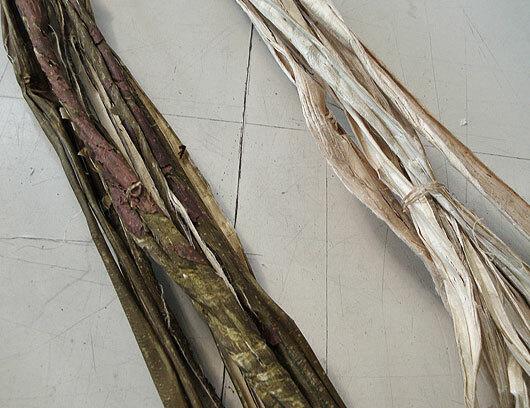 Washi paper is made from the inner bark of three different plants: Kozo (mulberry tree), Gampi, and Mitsumata (paperbush). 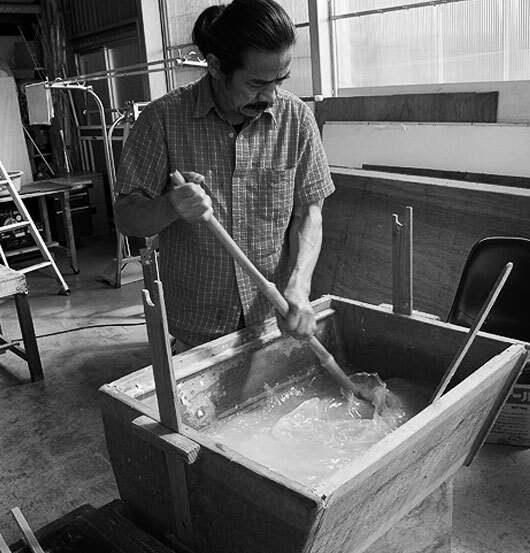 Kozo can be cultivated, while gampi grows wild in the mountains. Cutting branches does not kill these plants, so washi is a renewable resource. 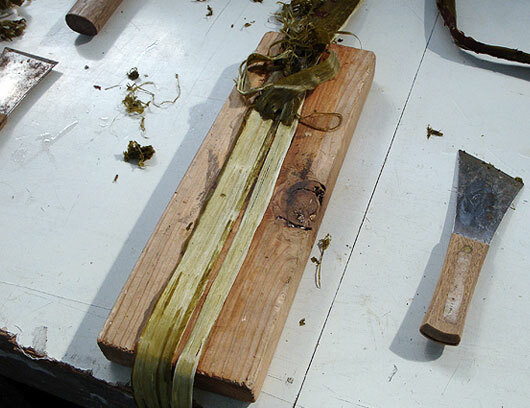 The bark is stripped from the cut branches, then after a cooking process, the lighter inner bark is separated from the outer bark. 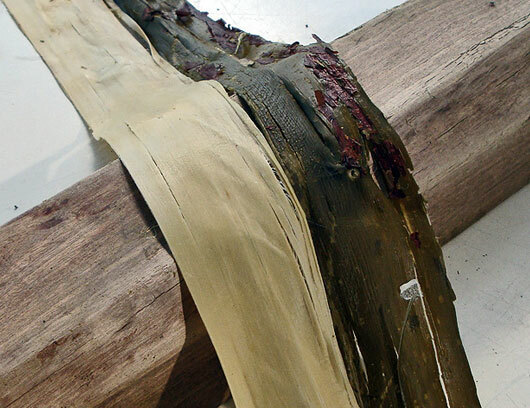 The inner bark is then soaked and any impurities are removed by hand. 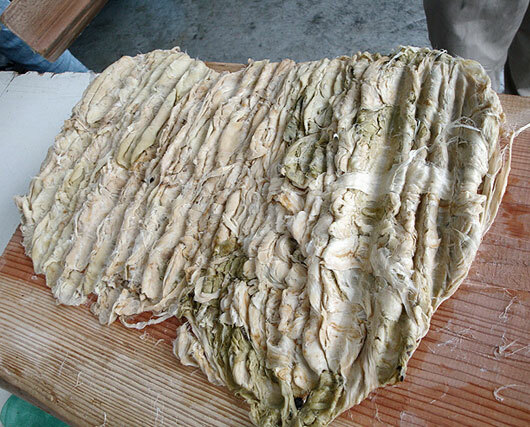 With Kozo fiber, a thickening agent of Tororoai (hibiscus root) is also prepared and strained. 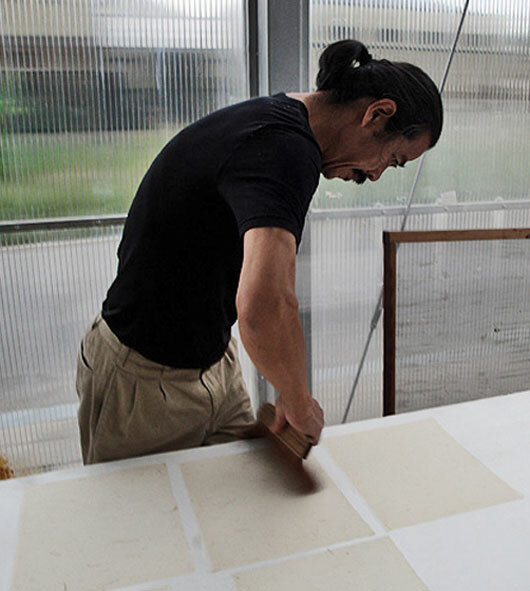 Pictured is master paper maker Tamura Tadashi. 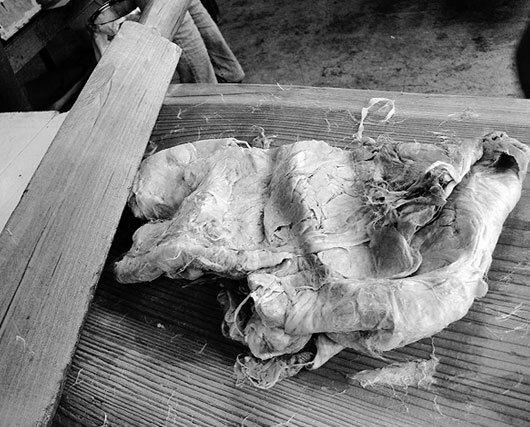 The clean inner bark is then beaten with a wooden mallet for quite some time. 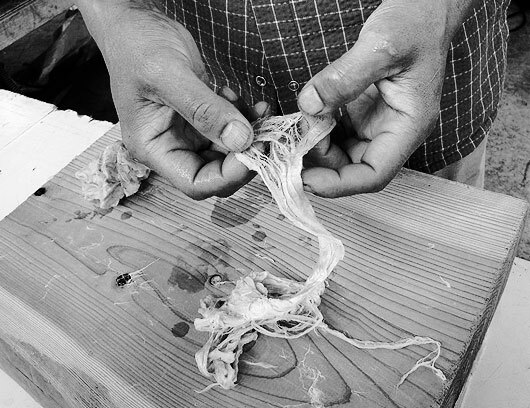 After the bark has been beaten to a pulp, it is put into water and further broken down and mixed. 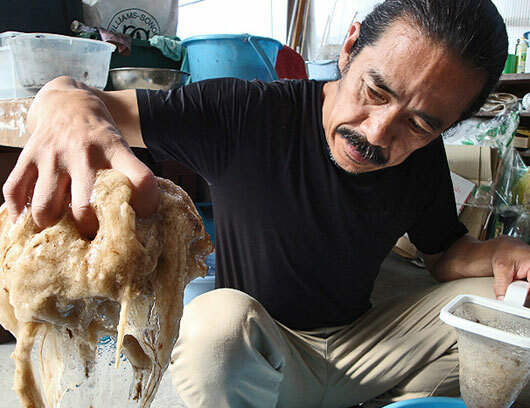 With Kozo, the thickening agent is slowly added. 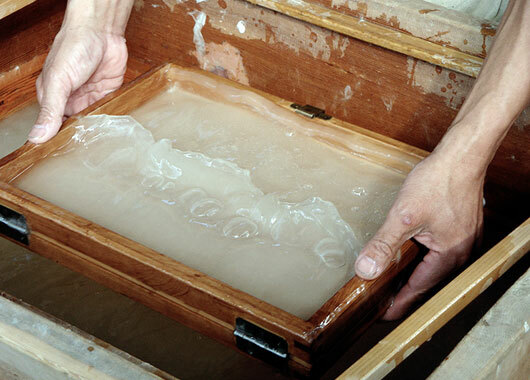 Paper makers can often tell when paper is ready to be formed, by the sound of the water. 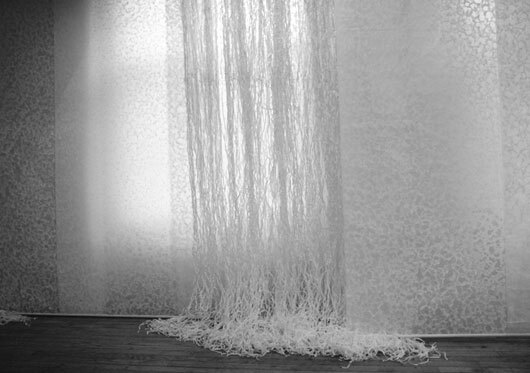 Pictured above is paper artist, Kyoko Ibe. This is the most challenging step! 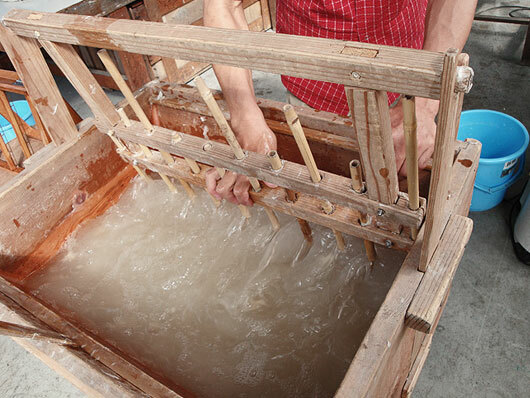 Handmade frames are dipped several times into the suspension of water, fiber and tororoai. 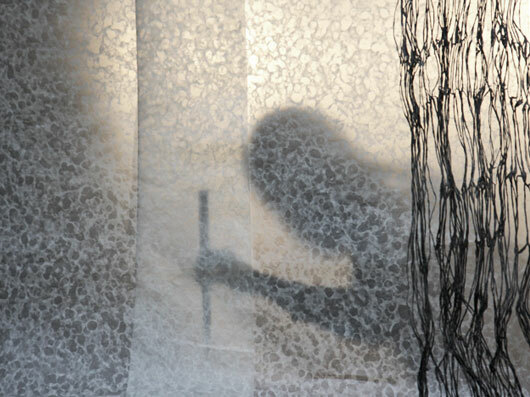 Tiny particles bind and remain on the screen and when peeled off, reveal a wet sheet of paper. 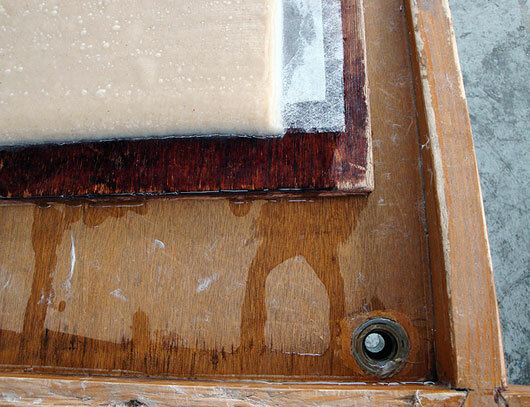 The wet sheet is set in a stack to drain, and the water pressed out. 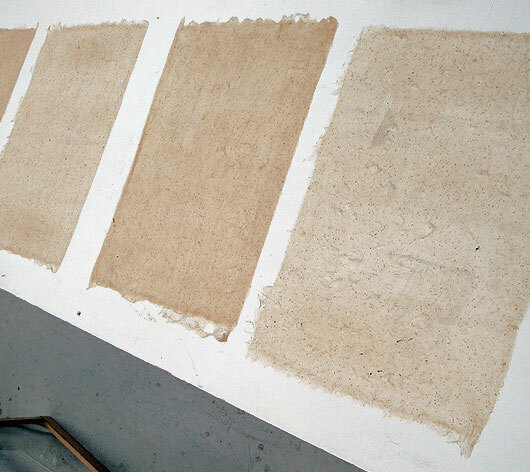 After a stack of new paper has drained, each damp sheet is individually peeled off and brushed smooth onto a flat surface to fully dry. It is sometimes then polished with a dark green camellia leaf. 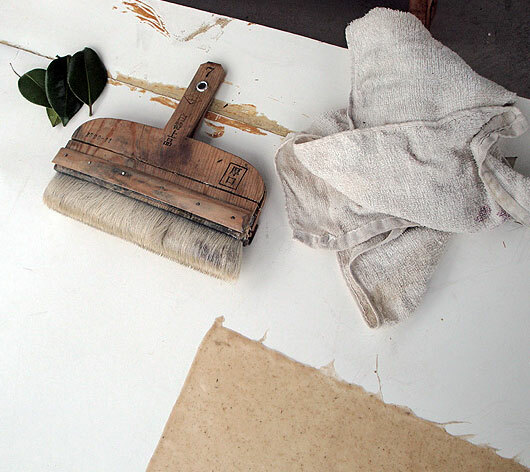 Larger sheets of paper are hung up to dry in addition to being laid out on boards. 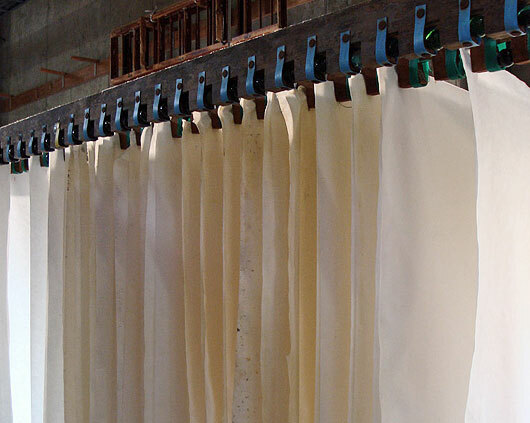 To find out more about washi paper visit the Awagami Factory website. 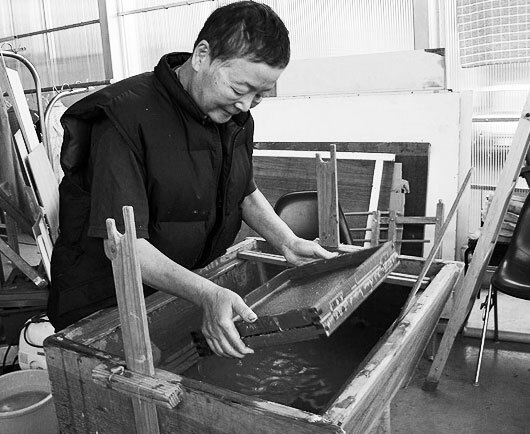 They are the experts in handmade Japanese papers and their website is full of interesting facts about washi paper too.